Posted on August 4, 2013 by revivewa	in Features, Profiles and tagged Living intentionally. Rev Neville Watson tried to convince me recently that he hasn’t made a difference in this world, despite having just minutes earlier told me about his time with a peace camp in Iraq during the war in 2003. He doesn’t convince me for a second. The man has spent his life comforting and standing up for others — and putting his own life at risk to do so. He may not have made a difference in the politics of the war, but you can be sure he made a difference in the lives of the people affected by it. In the three weeks leading up to the war, his wife, Marg, and others held a silent vigil outside the American Embassy in Perth. That is just the tip of the iceberg. Born with a silver spoon, Neville chose not to enter into the temptation of high society, but rather be a man of peace and justice. His parents played a huge role in this, his father a significant West Australian politician who stood up for what he believed in and his mother who taught him how to love. The face of the enemy. 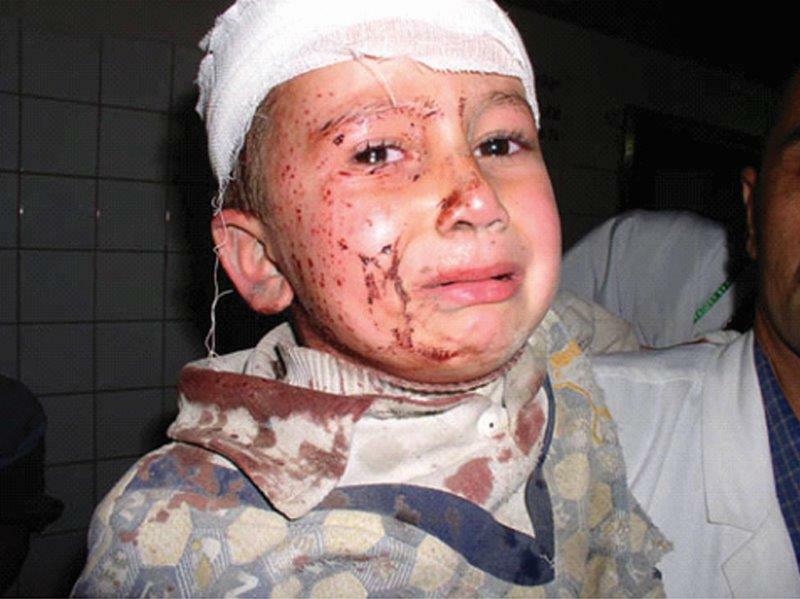 A young Iraqi boy traumatised and injured during the war. Neville originally wanted to be a lawyer. Before becoming fully qualified, however, he announced to his family he wanted to become a Methodist minister. 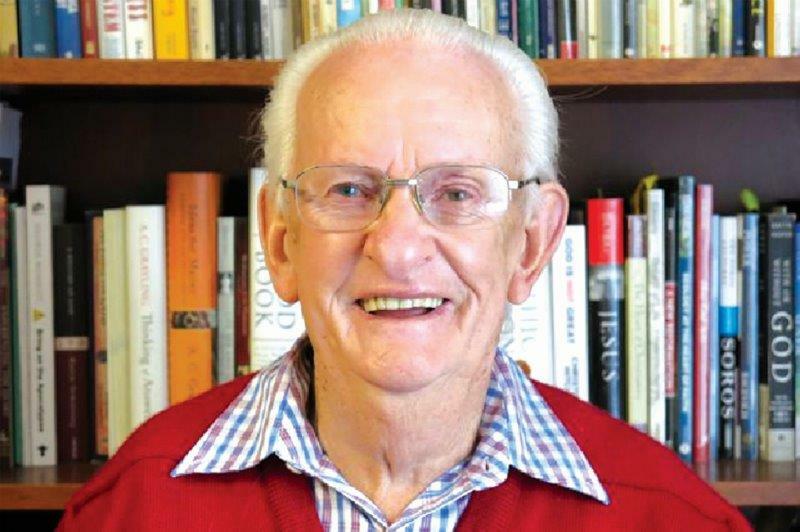 It was Sir Ron Wilson who encouraged him to complete his articles and be admitted as a barrister and solicitor, advice for which he has always been grateful. “Being qualified as a lawyer is pretty handy,” Neville said. After some time in parish ministry, Neville eventually asked for leave without charge so that he could set up a Lay Training Centre at Faversham House, York. The centre was designed to train lay people for ministry and be a place where people with different views could come together to discuss social issues. During this time, his qualifications as a lawyer meant he could regularly defend Aboriginal people in court before the Aboriginal Legal Service had formed. It also meant he could defend fellow protesters after arrests, further down the track. Neville himself says he can’t remember how many times he has been arrested, but it’s a record of which he’s proud. Over and over, he has put himself on the line to stand-up for what is right — whether it be over Indigenous land rights or for peace in the Middle East. He believes it is part of the Christian faith to be uncomfortable with injustices in mainstream society. So, where does someone like Neville find the strength to be a light for others? Everyday Neville wakes at 3.00am to spend three hours reading, praying and contemplating. Contemplation, says Neville, is not thinking about the situation but letting it impact on you. It’s about awareness. It’s feeling the situation, letting it speak to you and seeing it for what it really is. This is the inward journey — the outward journey then becomes acting on what you have discovered. By using this call and response method Neville has been involved in all kinds of things, from working with Aboriginal people to prison ministry. 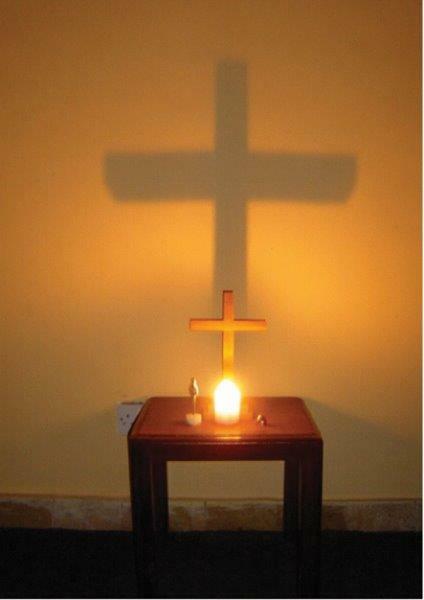 Neville’s Prayer Station in Iraq during the time of the war. The candle was a gift from his congregation, Wembley Downs Uniting Church, who told him to “go and be our light in Baghdad”. As part of helping others find themselves in this process, Neville is spending time this August on a trip with Rev Cathie Lambert and Karen Sloan in Israel. While there, he hopes they will experience the Scriptures in a whole new way. ← Changing the church or Wilful Blindness?